To solve optimization problems, in the field of engineering optimization, an optimal value of a specific function must be found, in a limited time, within a constrained or unconstrained domain. Metaheuristic methods are useful for a wide range of scientific and engineering applications, which accelerate being able to achieve optimal or near-optimal solutions. The metaheuristic method called Jaya has generated growing interest because of its simplicity and efficiency. 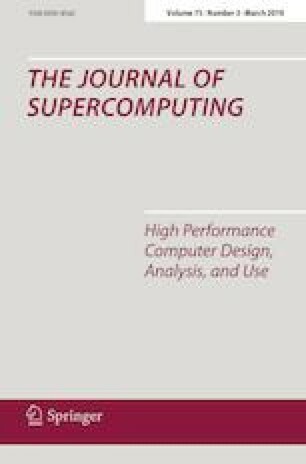 We present Jaya-based parallel algorithms to efficiently exploit cluster computing platforms (heterogeneous memory platforms). We propose a multi-level parallel algorithm, in which, to exploit distributed-memory architectures (or multiprocessors), the outermost layer of the Jaya algorithm is parallelized. Moreover, in internal layers, we exploit shared-memory architectures (or multicores) by adding two more levels of parallelization. This two-level internal parallel algorithm is based on both a multipopulation structure and an improved heuristic search path relative to the search path of the sequential algorithm. The multi-level parallel algorithm obtains average efficiency values of 84% using up to 120 and 135 processes, and slightly accelerates the convergence with respect to the sequential Jaya algorithm. This research was supported by the Spanish Ministry of Economy and Competitiveness under Grant TIN2015-66972-C5-4-R and Grant TIN2017-89266-R, co-financed by FEDER funds (MINECO/FEDER/UE).